Offering you a complete choice of products which include ambica boiler abster horizontal high pressure autoclave. 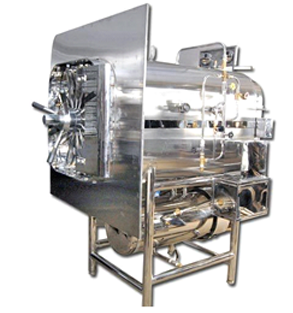 Horizontal High Pressure Autoclave the inner chamber, steam jacket, outer chamber and boiler are made of heavy gauge stainless steel with leak proof argon arc welding. The radial locking Lid is made of thick S.S. Plate. All units are hydraulically tested up to 40 psi. The space between the outer chamber and steam jacket is fitted with asbestos sheet or glass wool to minimize thermal losses.